Update: The pre-order discount on this item for Prime members ends later tonight. Make sure to get in on this deal while you can! 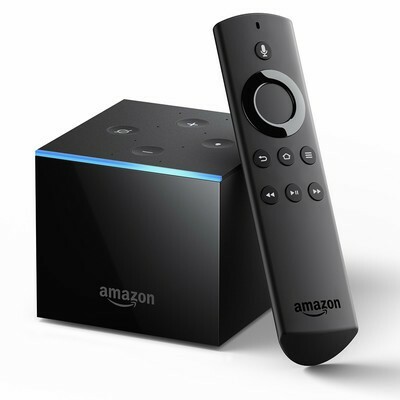 Amazon Prime members can pre-order the Fire TV Cube streaming media player for $89.99 if they order it before June 8. For everyone else, it is still available for pre-order, but they’ll have to pay $119.99 instead. The pre-order discount ends June 8, and the item releases June 21. As an extra bonus, if you activate the Fire TV Cube before July 1, you’ll get a $10 credit for Amazon Prime Video. The credit has to be applied by August 31 and only works on digital video content sold by Amazon. We broke down the Fire TV Cube earlier today. Essentially, imagine the way you use an Echo Dot now to control all the wirelessly connected appliances around your home. Then imagine that control plugged into your TV so you can control everything plugged in there with your voice as well. That’s what you get with this new device. It’s a way to turn on the TV, play your favorite DVD, adjust the volume on your home audio system, dim the lights, and get your microwave to cook some popcorn all without moving from the best spot on the couch. You can also get $30 off a bundle that includes the Fire TV Cube and Amazon’s Cloud Cam Security Cam. The bundle is discounted to $200 instead of the $240 you’d have to pay for each item individually, and Prime members pay just $169.98 total with the extra $30 off. If you’re not a Prime member but want to take advantage of these discounts, you can sign up for free today and get the deals with your 30-day trial.